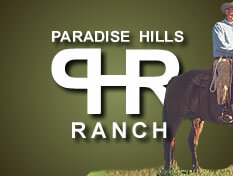 Paradise Hills Ranch is dedicated to the natural horsemanship education of both horses and humans based on the principles and philosophies of Parelli Natural Horse.Man.Ship. Situated on 529 acres in the picturesque southern interior of British Columbia, this Horseman's Heaven offers a spectacular training facility with many natural obstacles, unlimited riding trails and state-of-the art indoor and outdoor arenas. Complete with cozy cabins, Paradise Hills Ranch facilitates continual education to recreational horse lovers of all levels and the opportunity to study natural horsemanship with their own horse or use one of our strong, sound, ranch horses that know Parelli Natural Horsemanship. Paradise Hills Ranch is located only a short distance from Lumby, also known as the gateway to the Monashee, the Mountains of Peace. There is a spirit about this place. Where humans and horses are free of the predatory behavior that causes issues of control and rebellion to surface, the human becomes freer, kinder, more at ease - and so do the horses. You can feel the spirit of the place in the way the horses carry themselves, free in their natural ranch setting, roaming open pastures and mountain meadows. 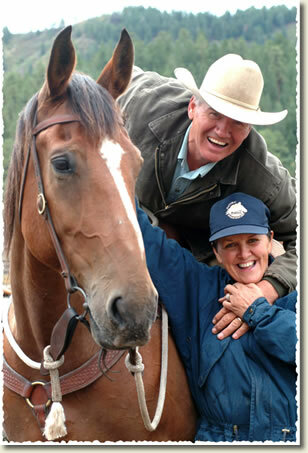 Horses trained in harmony with their true nature become ideal riding companions.